The Elgin Area in Illinois has drawn visitors from all across the region and internationally for so many different reasons. Some come to see the only farmhouse Frank Lloyd Wright ever designed in his lifetime, some come to experience the area’s award-winning golf courses and others come to challenge themselves on the Fox River Bike Trail. 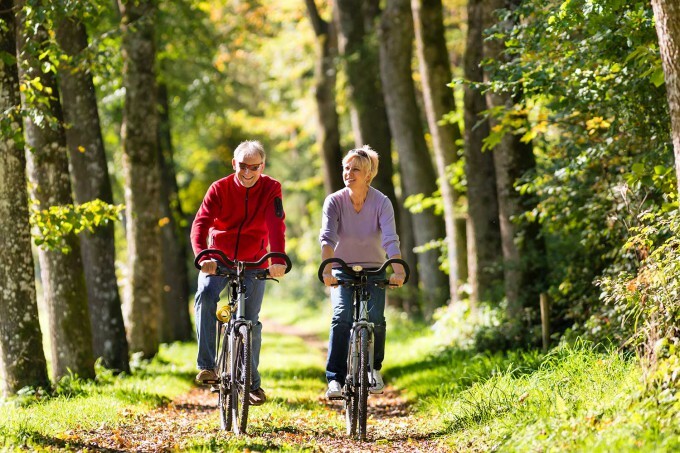 Looking to escape the stress of the office or take a break after your convention? 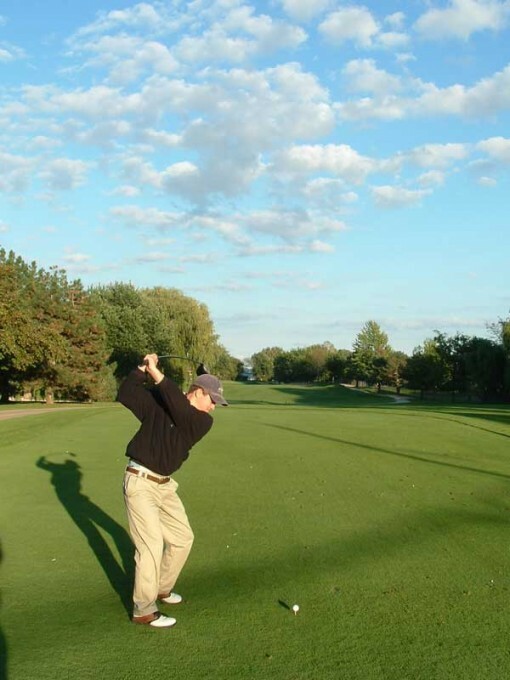 The Elgin Area offers a wide assortment of award-winning golf courses to practice your swings. Elgin is home to two unique golf courses: The Highlands of Elgin’s beautiful links course is perfect for golfers of all levels from novice to professionals while the award-winning Bowes Creek Country Club expertly blends the natural environment of the area into the course’s 6,900 yards and 18 holes of championship quality golf. The rolling greens and fairways of Bartlett Hills Country Club in Bartlett are sure to challenge even the most experienced golfers. Elgin, Illinois is known for the strong arts community that started in downtown Elgin and quickly spread throughout the whole city. Events like Art & Soul on the Fox and Elgin Fringe Festival will highlight local artists but what makes Elgin a strong arts community is the local artwork visitors will see on all the restaurant walls. Elgin Artspace Lofts opened in downtown Elgin allowing 55 artists and their families to move into downtown Elgin. The artists have a place to live that also doubles into a creative space for them to work. The artwork they create hangs at local pizza places and office buildings throughout the city. Elgin is also home to the Elgin Symphony Orchestra and Elgin Youth Symphony Orchestra. Music can be found around every corner with our wandering buskers but the crowds flock to the Hemmen’s Cultural Arts Center for Elgin Symphony Orchestra‘s winter performances. The Elgin Area is quickly becoming the place locals and visitors go to enjoy a drink after work or in between meetings. Martini Room in downtown Elgin serves up award-winning martinis but the real crowd-pleaser is flight night (Wednesday) at Martini Room where guests can sample five different specialty martinis for just $15. Beer lovers are drawn to Plank Road Tap Room, the one room log cabin, which has 15 ever changing local craft beers ready for a cold pint or a flight of four. Join them on the weekend for dinner by local food truck or bring a snack from a local restaurant. Visitors looking for more of a brewery experience will enjoy a pub style dinner at Emmett’s Brewing Co. in West Dundee. All food pairs perfect with Emmett’s very own beer made on the premises. Like most train communities, the Elgin area has a rich history with early settlements and unique houses. One of the largest architectural draws to the area is the Muirhead Farmhouse, the only farmhouse Frank Lloyd Wright ever designed and built in his lifetime. The descendants of the original family still live in the house so when visitors tour the house they are able to see letters between the family and Frank Lloyd Wright. You can hear first hand stories that have been passed on through the family. 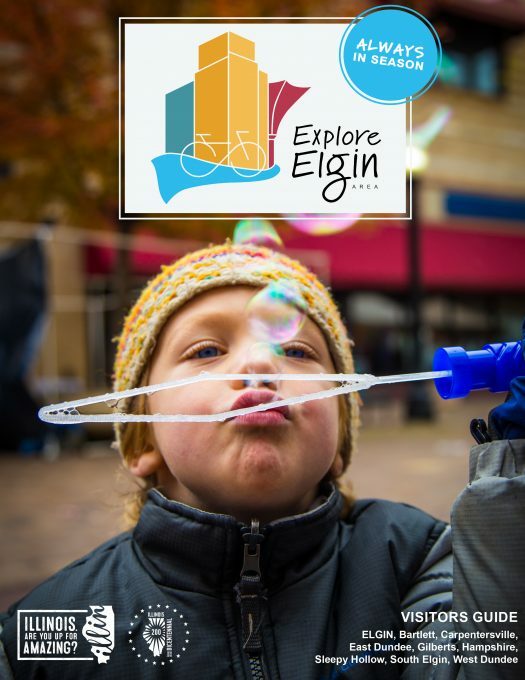 Continue the architectural adventure with the 37th Annual Historic Elgin House Tour in September or grab a self-guided Walking Tour Map at the Elgin Area Convention & Visitors Bureau. Enjoy Victorian style homes, a large collection of Sears Catalog Homes and other historic treasures around the Fox River Valley. Whether you are coming for an Elgin Symphony Orchestra performance, a round of golf at the award-winning Bowes Creek Country Club or a craft beer and dinner pairing at Emmett’s Brewing Co. you will see why visitors travel to the Elgin Area year round. Click here to view our most recent Visitors Guide!